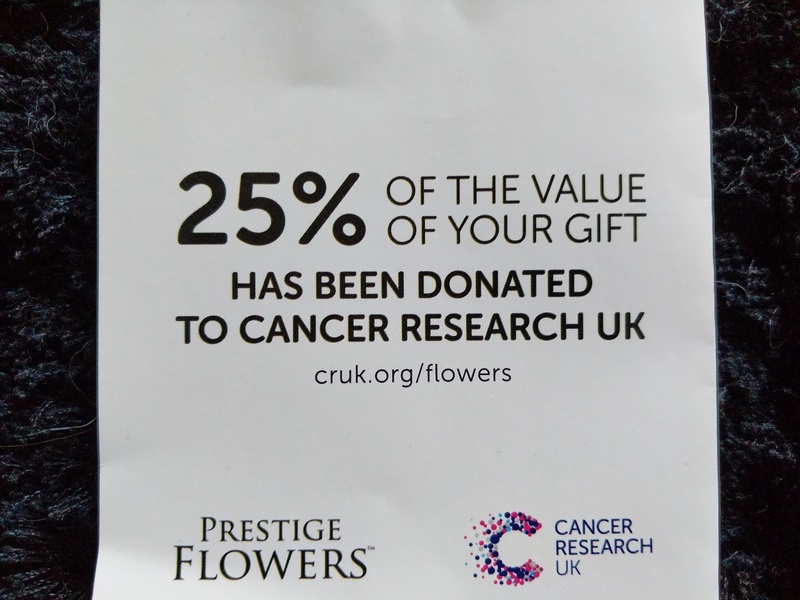 Wouldn't it be great if you could buy flowers for someone and give money to charity at the same time?! Well you can actually and I'm not sure why this isn't something that hasn't already become a thing. I really love this idea and I think from now on when I buy flowers for friends and family my first stop will be Here. We received a beautiful bouquet from cruk flowers. 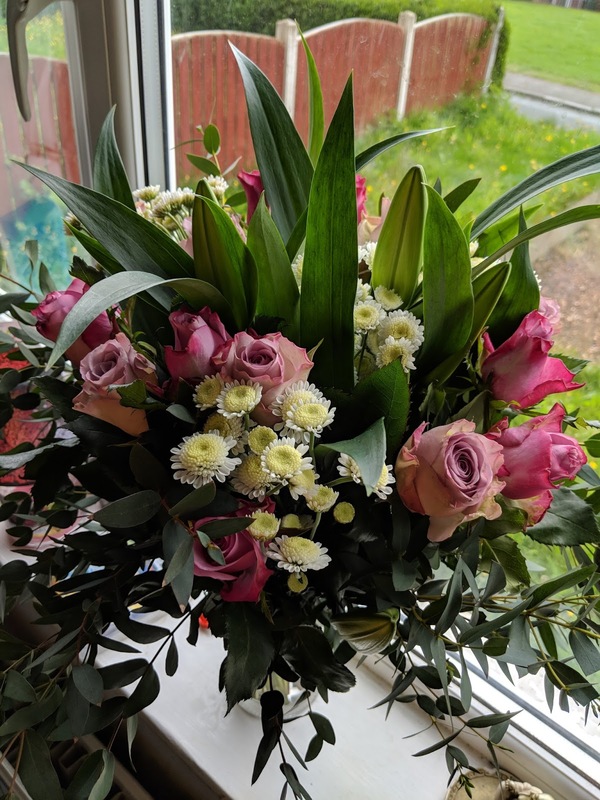 When the bouquet arrived it came with a vase and a teddy bear, not all bouquet's come with this so if ordering just have a read as it will state if it comes with anything. The flowers arrived via royal mail in a large box and packaged very securely. As you can see in the picture not all the flower's had opened which I was really happy with as some online flower companies send you flowers that don't have much life left in them. To ensure that we get the maximum amount of life from the bouquet we have followed the care guide that was included. 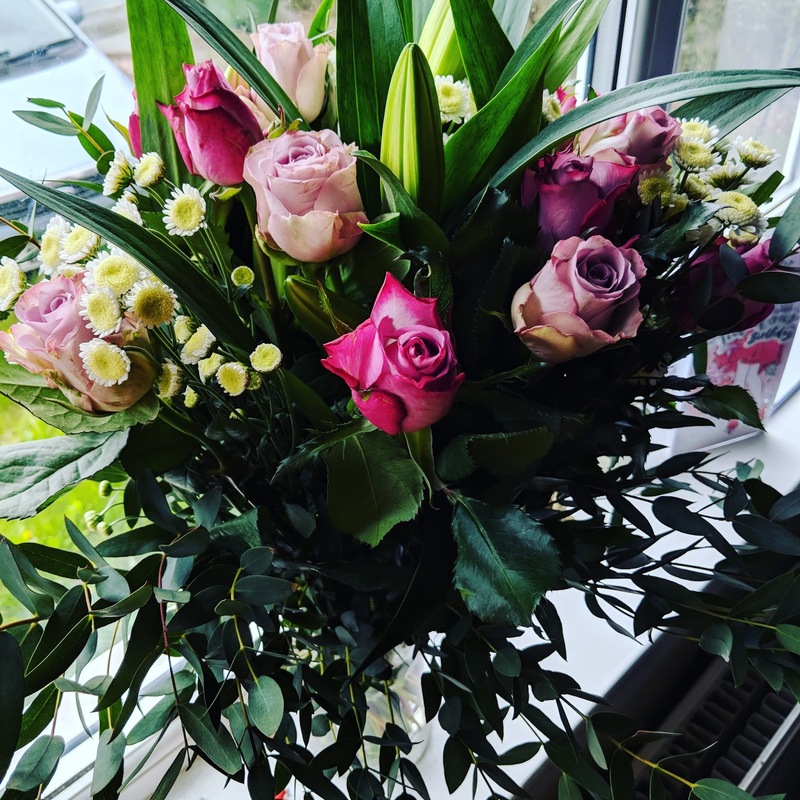 There are many different bouquet's and gifts to choose from on the website, whatever your budget you will be sure to find something. 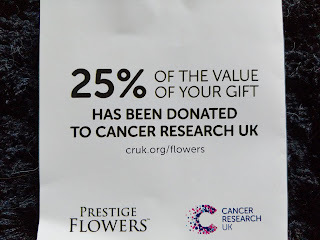 I think it's easier to justify spending that little extra as well as you know that a proportion of what your spending is going to Cancer Research UK. 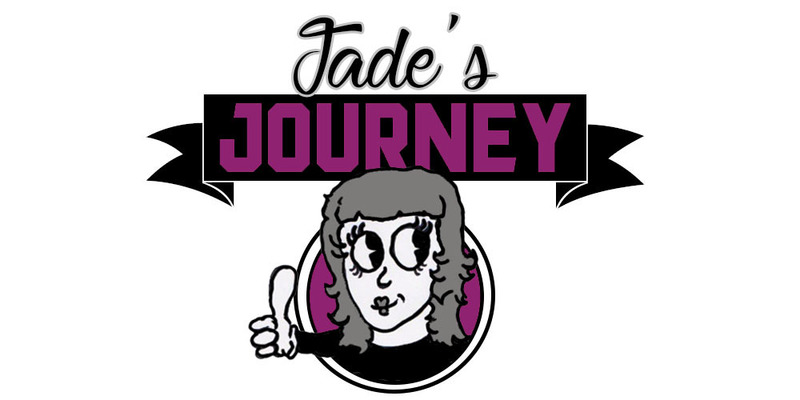 So if your going to give a gift please do look at there website first as even the smallest donation means a lot.